Hubli Electricity Supply Company limited (HESCOM) has released Final List of selected candidates for the post of Assistant Engineer (AE), Junior Engineer (JE) and Assistant Account Officer (AAO) in various departments of the company i.e. Electrical, Computer, Civil & Electronics Engineering Departments. HESCOM has also released notification for these selected candidates only on the official website. Those candidates who are waiting for the final list of the HESCOM AE JE AAO can download their result from the direct link provided in the end of the posts. 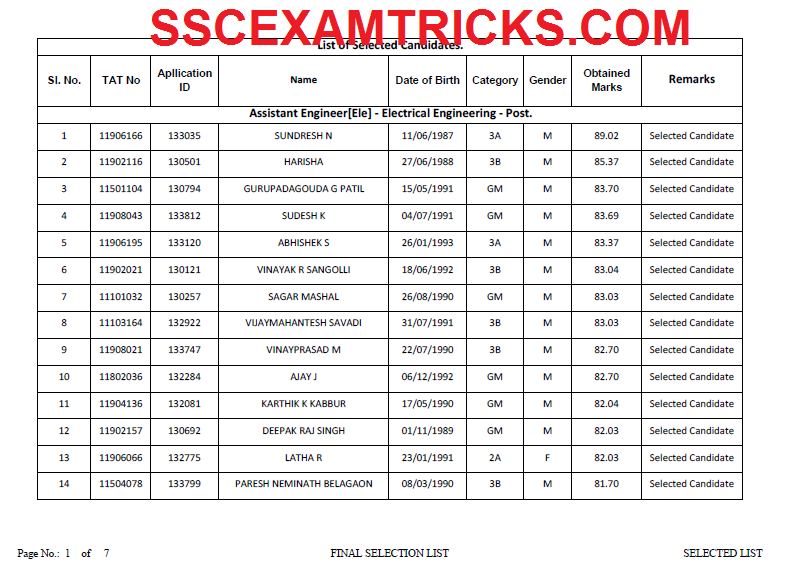 · Download the Final Result/ List of selected Candidates in PDF. · Press Ctrl + F key on the keyboard to search result. · Type your name in the search box. · Enter till you don’t find your name in the list of interview result. · Save or Print the Result for purpose of getting Appointment Letter/ Joining Date.